I first heard of the grape variety Marselan while studying – for the first time – the wines of China. China, as you may have heard, recently became the world’s second-place country in terms of vineyard holdings – coming in on the list right after Spain, and before France. While many of China’s vineyards are dedicated to table grapes, wine grapes, including vinifera varieties, now account for at least 10% of the vines. 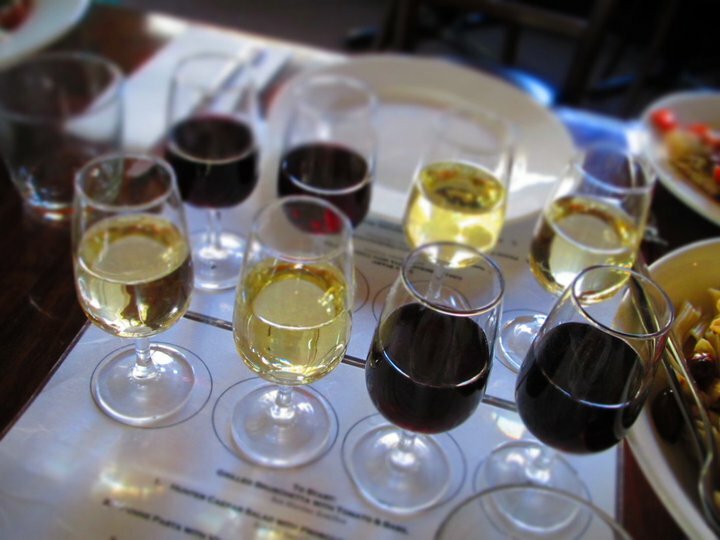 Of the vinifera varieties grown, Cabernet Sauvignon dominates, followed by Carmenère, Merlot, Chardonnay, Cabernet Franc, Shiraz, Gamay, Grenache, and Marselan. Marselan is a vinifera cross (Cabernet Sauvignon X Grenache) created in 1961 by French ampelographer Paul Truel. Truel was working in Montpellier, France at the Institut National de la Recherché Agronomique (INRA). His goal was to create a high yielding grape with large berries of at least moderate quality. 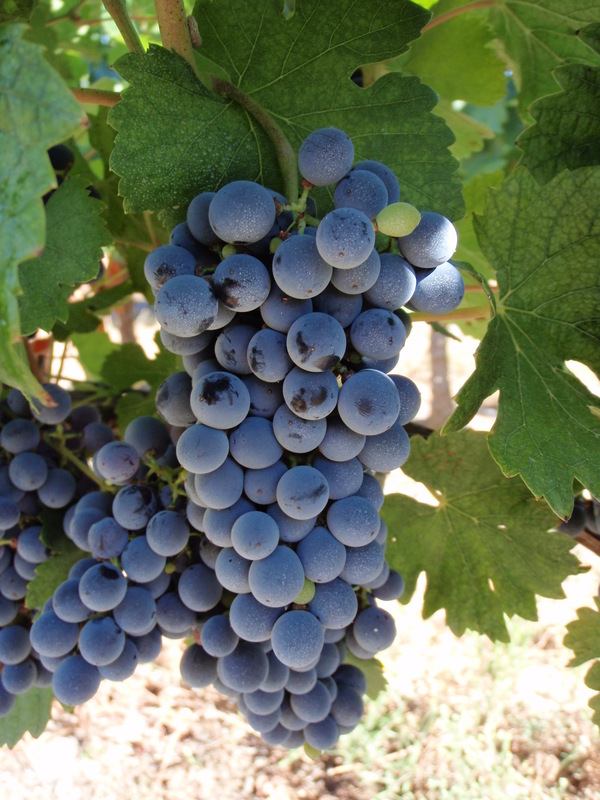 Marselan produces grape berries of small-to-medium size, so the variety was shelved and not expected to have a future in commercial wine production. However…by the 1990’s viticultural priorities had shifted, and disease resistance, particularly to threats such as powdery mildew and coulure, brought Marselan out of cold storage. The grape was approved by the French as a commercial variety in 1990 and in 2007 was approved by the TTB (United States) as a varietal wine name. In addition to its plantings in China, Marselan is planted – albeit in small amounts – throughout the south of France. It is allowed to be up to 10% of the blend in the wines of the Côtes du Rhône AOC, and is produced as a varietal wine in the Languedoc. Small plantings may also be found in California, Argentina, Arizona, Spain, Uruguay, and Brazil. 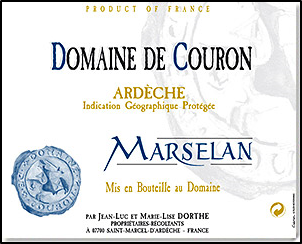 The grape was named “Marselan” by its creator, in homage to the town of Marseillan, France. Marseillan is the home of the phylloxera-free vine collection of Domaine de Vassal, operated by the INRA. Domaine de Vassal provided the parent Cabernet Sauvignon and Grenache vines from which the original Marselan was bred. The wines of Alsace are a bit of an enigma. They are truly French, and yet certain aspects of their style, culture, and tradition are strongly Germanic. They are the only AOC-level French wine to have labeled their top-tier wines with the name of the grape variety for the last 40 years. They are also unique in that they have 51 Grand Cru vineyards, and yet not every producer or even every Grand Cru is thrilled about the fact. Despite its long history of wine production, Alsace was one of the last of France’s major wine regions to be granted AOC status. The AOC was first created in 1962; the delightful sparkling wines of the region – Crémant d’Alsace – were awarded a separate AOC in 1976. In 1975, Alsace awarded its first Grand Cru to Schlossberg, with more designated in 1983. Another 24 vineyards were promoted in 1992, and one more – Kaefferkopf, the 51st – in 2007. As of 2011, each of Alsace’s 51 Grand Cru Vineyards were awarded their own separate AOC. 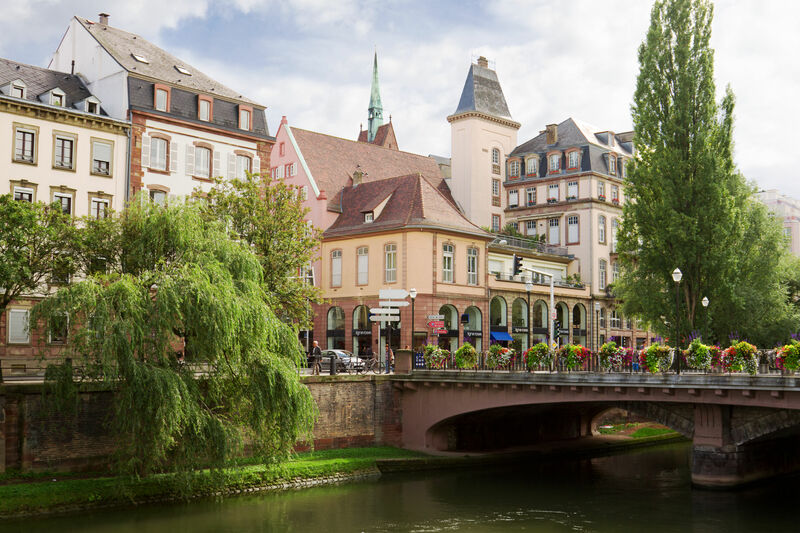 With few exceptions – which we’ll discuss below – Alsace Grand Cru must be a white wine produced 100% from a single variety of the four “Noble” grapes of Alsace – Riesling, Muscat, Gewurztraminer, or Pinot Gris. (Wines labeled as “Muscat” may be made with Muscat’s Ottonel, Blanc à Petits Grains, and/or Rosé à Petits Grains variations.) Alsace Grand Cru wines must be vintage dated, cannot be released until June 1 of the year following harvest, and must be bottled in a traditional, tall bottle – the Flûte d’Alsace. They are typically considered to be dry, although in some years a tickle of sugar can be detected; they may be produced in sweet styles as well. Vendage Tardive (late harvest) and Sélection de Grains Nobles (botrytis-affected) versions must be hand harvested and require an additional year of aging. 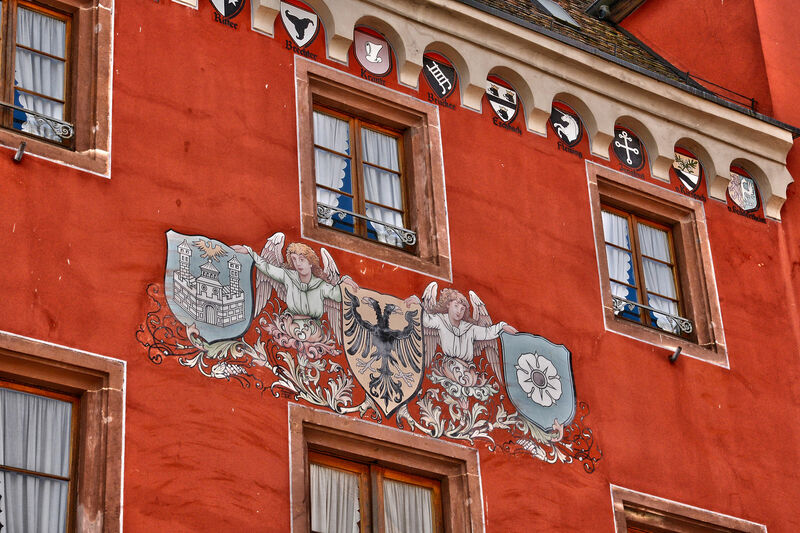 Which leads me to the “misfits” of Alsace – meaning those Grands Crus that are delightfully unique and/or unusual. With 51 Grands Crus, there is a lot of information to corral. (If you’d like to do just that, I suggest this link.) So here are a few of the outliers – the biggest, the smallest, and the three that have exceptions to the “noble grapes only and no blends” rule. 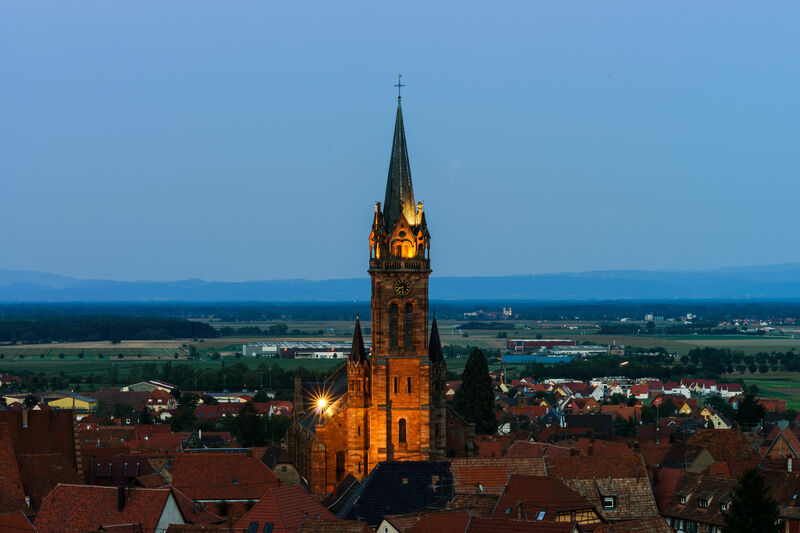 The First and the Biggest: Schlossberg – The Grand Cru of Schlossberg, located on the slopes above the communes of Kayserberg and Kientzheim in the Haut-Rhin, is the largest Alsace Grand Cru – clocking in at 197 acres (80 hectares). Schlossberg also happens to be the oldest of Alsace’s 51 Grands Crus – being the first vineyard to be so designated when the classification first began in 1975. The name “Schlossberg” comes from the 800-year-old castle (“Schloss” in German) located on the western edge of the vineyard. The vineyard itself is comprised of two parcels, the majority of the area being one large plot of terraced vineyards on the south-facing slope of a large hillside; as well as a smaller parcel across the way. Riesling is the super-star here, with some excellent examples made by Domaine Weinbach, Albert Mann, and Paul Blanck. The Smallest: Kanzlerberg – The Grand Cru of Kanzlerberg, at 7.5 acres (3 hectares), is the smallest of the Alsace Grands Crus. 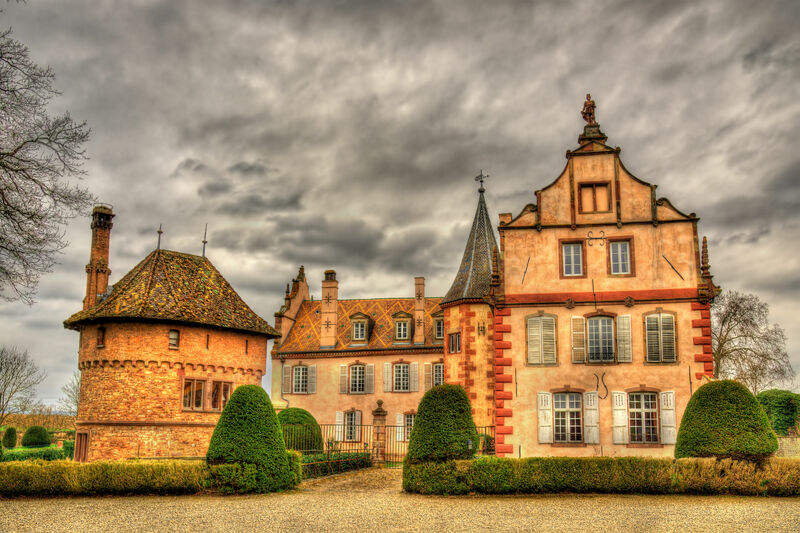 It also happens to be the most southerly, located in the commune of Bergheim in the Haut-Rhin Département. Kanzlerberg is located at an elevation of 820 feet (250 meters) with a due-south southern exposure, giving the vines wonderful, full sunshine and resulting in richly flavored, complex wines. Kanzlerberg is sometimes overlooked, being located just down the hill from the much larger – and very prestigious -Grand Cru of Altenberg de Bergheim. Tiny Kanzlerberg currently only has two producers – Sylvie Speilmann and Gustav Lorenz – both of whom also produce wines from Altenberg de Bergheim. Notable for Noir: Altenberg de Bergheim – Altenberg de Bergheim, located in the hills above the commune of Bergheim in the Haut-Rhin, produces typical Alsace Grand Cru wines from 100% Riesling, Gewurztraminer, and Pinot Gris. However, it is unique for two reasons: it is allowed to make Grand Cru blends, and it is the only Alsace Grand Cru wine allowed to contain red grapes (Pinot Noir). Blends must be 50-70% Riesling, 10-25% Pinot Gris, 10-25% Gewurztraminer, and may contain up to 10% (combined) Chasselas, Muscat (à Petits Grains or Muscat Ottonel), Pinot Noir, and/or Pinot Blanc. Chasselas, either of the Muscats, Pinot Noir, and Pinot Blanc may only be used in the blend if planted before 2005. The Altenberg vineyard has been known for its outstanding wines since the end of the 13th century. The Latest, the Contentious, and the King of Cuvée: Kaefferkopf – The Kaefferkopf Grand Cru is located in the village of Ammerschwihr in the Haut-Rhin Département. It is the most recently promoted of the Alsace Grands Crus, having just been promoted in 2007. This promotion was not without its own controversy – producers in the area had declined Grand Cru status when it was first offered to them in 1990, and many once again contested the decision in 2007. The contentious issue was a certain plot of land – 37 acres worth – that was part of the Kaefferkopf Title awarded in 1932, but that was specifically excluded from the Grand Cru. Producers using the grapes from this plot thus lost the right to use the name “Kaefferkopf” on their wines – and have since used the more generic Alsace AOC. That’s a crazy story on its own, but Kaefferkopf is also unique in that it is (along with Altenberg de Bergheim) allowed to produce Grand Cru blends. The blends of Kaefferkopf must be made using 60-80% Gewurztraminer and 10-40% Riesling; they may also include up to 30% Pinot Gris and up to 10% Muscat. The Sylvaner Specialist: Zotzenberg – Zotzenberg, located on a series of gently rising hillside slopes above the commune of Mittelbergheim in the Bas-Rhin, produces typical Alsace Grand Cru wines of 100% Pinot Gris, Riesling, and Gewurztraminer. However, this 90-acre (36.5-hectare) vineyard is a traditional growing site for Sylvaner – an also-ran grape of Alsace is ever there was one. The laws of the AOC were revised in January of 2001 to allow Zotzenberg to produce a Grand Cru wine made using 100% Sylvaner. Excellent examples are produced by Domaine Haegi and Domaine Lucas & André Rieffel. Zotzenberg is the only Grand Cru in Alsace allowed to use Sylvaner in a Grand Cru wine. Long Time Gonna Study This! No…this is not the Bubbly Professor slipping up and using poor grammar…rather, it is shorthand for the method I’ve been using for the past several decades to introduce and teach about (region by region) the wide world of wine! Long Time Gonna Study This is a mnemonic device to help me remember the 5 most important things one needs to know about any wine region – in order to really understand (and not just “memorize”) the facts and figures, grapes and places, and other details about the area. 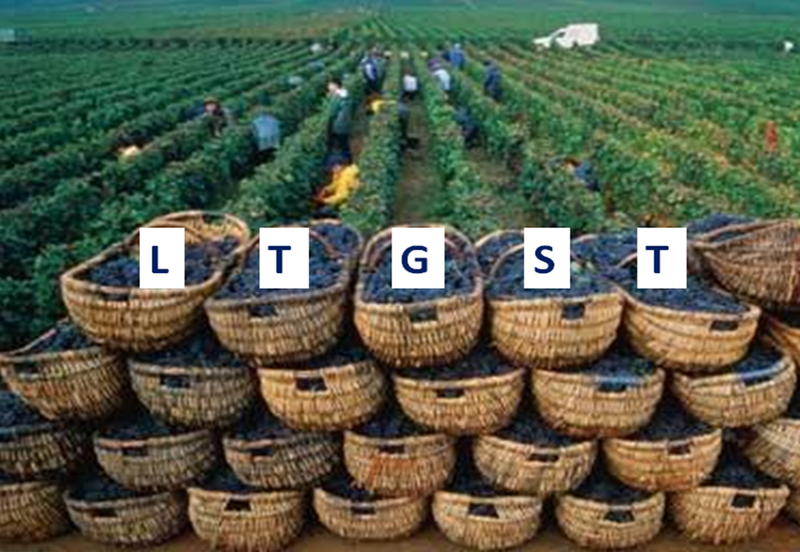 The letters stand for: Location, Terroir, Grapes, Styles, and Terminology. This is not the “easy way out” for studying. This is, however, a very effective study technique as it gives meaning and context to what you are studying. As I’ve said so many times before…your brain just does not like (and is not good at) fixing random words and numbers into long-term memory. What your brain is really good at remembering are things that are personal, contextual, spatial, surprising, physical, and humorous in nature. So…how do we use this knowledge to make our wine studies more effective? We make our studies more contextual (the background story), spatial (how this location relates to other locations), physical (taste the wine, look at the label, pick up the bottle even if you can’t afford to buy it), personal (draw a map, say the words out loud, visit the region). If it can be made to be surprising or humorous along the way, so much the better! For starters, we need to know the basics: where is this area located? Get specific – latitude, proximity to well-known cities and landmarks, and location in relation to other wine regions. Research the topography – rivers, lakes, oceans, mountain ranges. The best way to do this is trace a map, get to googling and draw in the cities, mountains, and rivers. 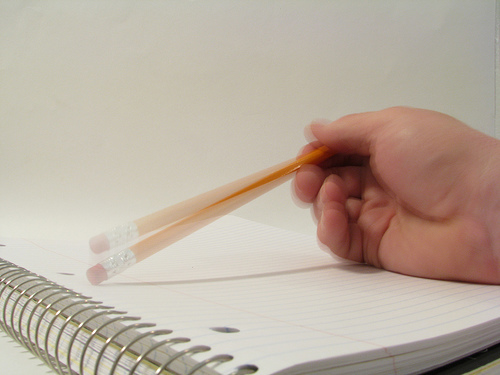 By doing so you are making your studies more physical, which as we know will greatly improve your memory of the topic. It’s important to study this first, as it sets the stage for the information to follow. What is the local climate, soil, topography, etc and how does it affect the wine? Knowing the details on the location (latitude, near-by mountains, rivers, and oceans) will translate into a better understanding of the terroir (see how that works)? What grapes are grown there? 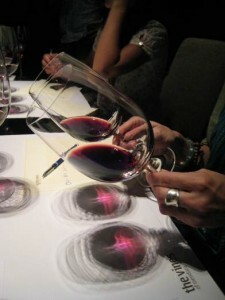 Are they blends, or single varietals? Understanding the location, which leads to a better contextualization of the terroir, will lead to better understanding of what grapes grown in a certain location and why. There’s a good reason that Alsace grows mainly white grapes and Bordeaux can grow botrytis-affected Semillon so well – and it has everything to do with location and terroir! After we know the overall climate and the grape varieties that are grown in a certain region, we’re ready to study the types of wines made in a region. 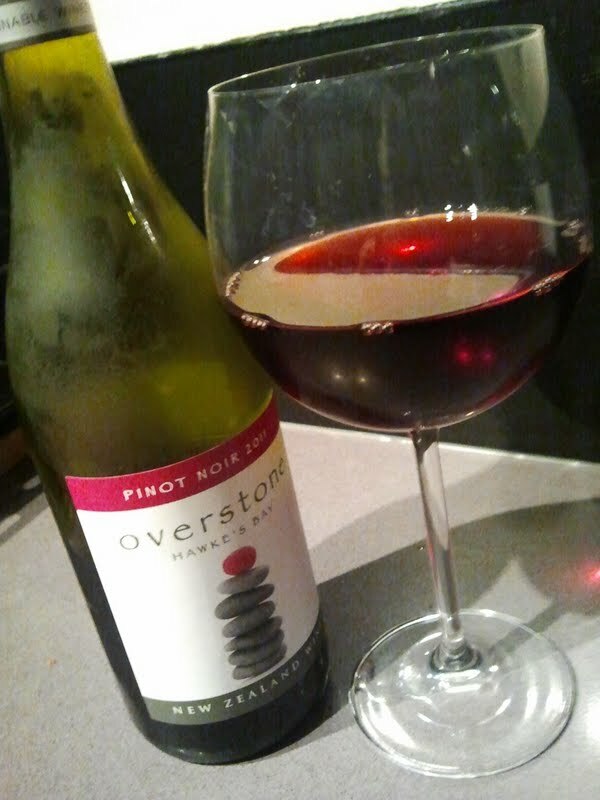 What styles of wine do they produce? Dry, sweet, still, sparkling? What unique production techniques create these wines? What terms do you need to understand the wines and their labels? 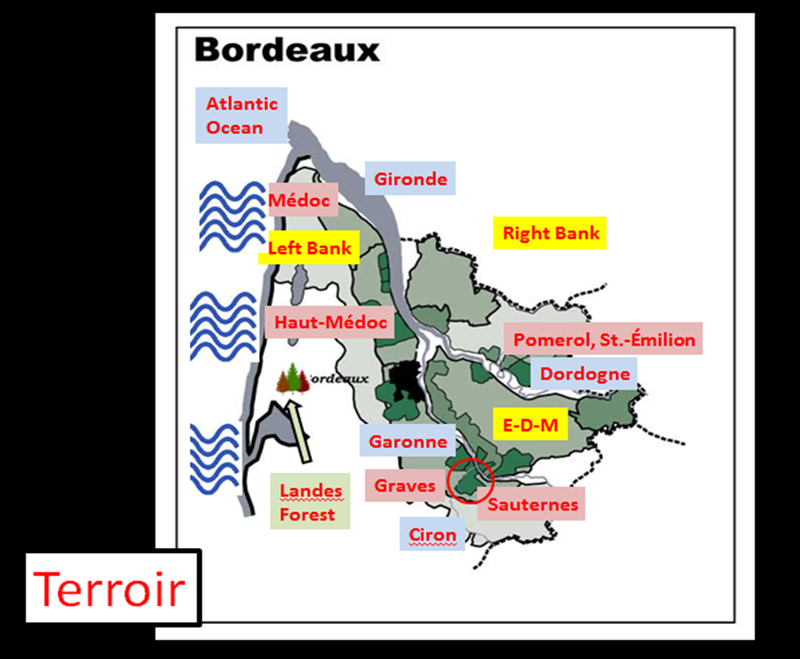 Some regions, such as Bordeaux and Burgundy, have a vocabulary all of their own and this list can get very long indeed; others are much simpler. 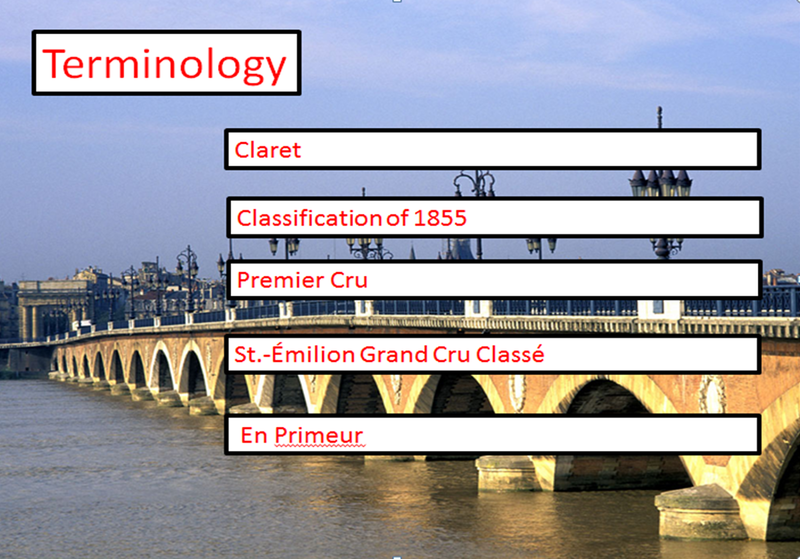 So there you have it…the LTGST method of studying the wines of the world. Like I said earlier in this post, it is certainly not quick or easy, but I guarantee you it’s effective. Click for more advice on how to study wine and spirits. Good luck with your studies, and please let me know if you have any questions, comments, or success with this method! I first posted an advice column on “How to Study for the CWE Exam” just about a year ago, and as it has been one of my all-time most visited blog posts, I thought I would post an update. So…if you are a CWE aspriant and have any questions, this post’s for you!! As always, I am always happy to answer any questions you have, so send me an email if you do! 2. Study at least one other comprehensive wine reference from the CWE Reading List, such as “Exploring Wine”, “The Oxford Companion to Wine”, or “The World Atlas of Wine.” Click here for a copy of the CWE Recommended Reading List 2014 . If you will be taking the exam in 2015, you can find the CWE Recommended Reading List 2015 here. Sure, I understand that these books are not easy reading, and while I sympathize, I have to say…they are not supposed to be. 3. When I suggest that you “study” a book what I really mean is read it through, cover to cover, and take notes on everything that you find applicable to your study. Then, clean up those notes and use them as your study material for the last few weeks leading up to your exam. 6. Make your own “wine grape cheat sheets” for the major vinifera varietals and know the following information about each one of them: the major regions where they are grown, and the typical viticulture, vinificaiton, and wine styles made from those grapes in each of their major regions. This is to prepare you for a compare/contrast essay question as well as many possible multiple choice questions. 7. Study and be prepared to compare/contrast some of the basic wine making techniques and viticultural topics: stainless vs. oak, the various methods of cap management, single varietal vs. blended, warm weather vs. cool climate viticulture, etc. This is also to prepare for a possible essay question. 8. Be prepared to discuss some of the more recent trends in wine via an essay question, such as enclosures, high-alcohol wines, orange wines (old but new), emerging wine regions in Asia, fraudulent and “fake” wines, global warming, new rules and regulations via the EU, former Soviet Bloc wine regions re-invigorating their wine industries, the 100-point scale debate, etc. 9. Speaking of essays, if you are not 100% confident in your writing abilities, spend some time researching the basic format of a “five paragraph essay.” (Obviously, disregard those written for fifth graders and find one from the website of a college or university.) The “Five Paragraph Essay” is the basic format for just about any type of persuasive or informative writing, and if you are unsure of your writing skills it will help you organize your thoughts and statements, especially when you are faced with attempting to answer an essay question in an hour. For a great overview of what the essay graders are looking for, click here for a copy of the CWE Essay Rubric – 2014 . 10. To prepare for the wine identification portion of the exam, taste, study and take notes on the basic, well-known wines of the world. In my opinion, these would include: German Riesling, Vouvray, Alsatian Gewurztraminer, New World Chard, White Burgundy, White Bordeaux, New Zealand Sauvignon Blanc, Lodi Viognier, Fumé Blanc, Sancerre, Muscadet, Rías Baixas, and Torrontés. For the reds, I’d study Beaujolais, Red Burgundy, Oregon Pinot, Red Bordeaux, Napa Cab, Napa Meritage, Paso Robles Zinfandel, Rioja, Chianti, G-S-M, Argentine Malbec, Australian Shiraz, Cahors, one of the Nebbiolo-based wines, and a varietal Grenache. 11. Get a copy of the SWE Tasting Rationale 2014 Wine sheet and practice using it. More information may be found on SWE’s website. Bubbly Disclaimer: This is my own personal advice, based on my own experience and that of my friends. This is not to be considered “official” advice from any school or organization. I hope that you enjoy your wine studies and that you are successful in your certification endeavors. Cheers!